Last month we compared the accounting power gleaned from management segments (usually called “cost/profit centers”) versus the “big bucket” accounting approach still used by many producers. This month we’ll switch to another, equally-important dimension: units of measure. • In order for accounting entries to drive inventories, quantities must be captured. • A “per-unit” approach allows meaningful comparisons between segments and operations of varying scales. • Units explain the source of variance from budgets. Units of measure in the ag world are much more complex than most other businesses. • A single transaction can incorporate dual quantities (head-pounds, wet bushels-dry bushels, tons-bales). • Often the units of measure change between the point of purchase and application (bags-kernels of seed or gallons-ounces of chemicals). • In addition to these “direct units” associated with accounting transactions, agriculture relies on a wide variety of “indirect units” (acres, animal capacity, hours). While some of these indirect measurements can be “folded in” after-the-fact, direct units must be captured within the same transaction as dollars, accounts and centers. Numerous work-arounds (recording quantities in notation fields or separate quantity accounts) have been attempted in Main Street accounting programs, but the results literally don’t add up. Start you work week off with instant and free training delivered right to your computer screen. Our Monday morning webinars run from 10:00 am-11:00 am CST. Smart Feeder User-Defined Reports, November 1st. Preparing your accounting records for year end, November 8th. Integrating FBS with DTN market data, November 15th. Accounting for hedging transactions, November 22nd. Advanced livestock budgeting and margin analysis, November 29th. Q. I’m trying to make a backup of my data onto a CD through FBS and keep getting an error 280. What am I doing wrong? 2. Through My Computer or Windows Explorer navigate to the location where you just made the backup. The file will be named with your company’s three initials and the date (for example, xxx_101110.zip). 3. Insert a writable CD or DVD in your computer. 4. Right-click on the backup file and choose Send To and then select the CD/DVD drive. The built-in Microsoft writer will then copy the backup file to the optical drive. 5. 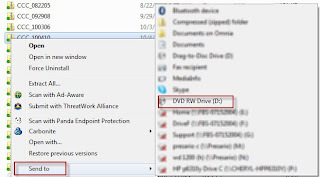 To verify that the file as been copied successfully, view the CD/DVD through Windows Explorer or My Computer. We recommend that you leave the original backup file on your hard drive. While internal backups won't protect you from a hard drive crash, they’re readily accessible in the event one or more data files are corrupted. With U.S. livestock producers under assault from multiple branches of government, it's encouraging to hear spirited and logical defense from folks we know in the industry. Indiana pork producer, NPPC Chair of the Competitive Markets Committee and FBS User, Mark Legan has been at the forefront in opposing the USDA's new GIPSA (Grain Inspection, Packers and Stockyard Administration) sweeping new regulations that he believes will stifle competition in the name of fairness. Legan has already testified on behalf of the NPPC at the USDA/DOJ workshop in Ft. Collins, Colorado and now adds his voice to the pages of the Indianapolis Star. Read it here: http//www.indystar.com/article/20101002/OPINION01/10020323/-1/7daysarchives/Livestock-farmers-uneasy, and post your comments on what you think of these proposed regulations.